April 12 , by Mardi Robyn. This statement necklace is beautiful! At first glance you would think it cost a lot, but it doesn’t, and with just a few craft supplies you can create your own. Tessa from The Lonely Walnut blog created this necklace and shares a tutorial on her blog. 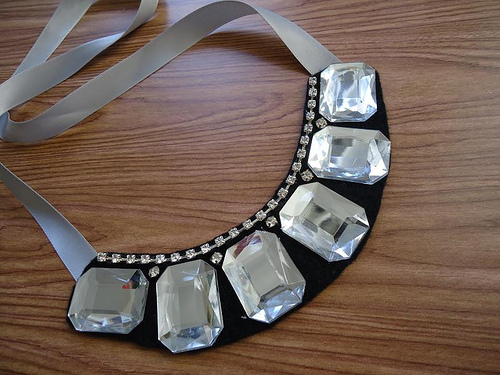 Learn how Tessa made the Rhinestone Statement Necklace and add some sparkle to your wardrobe!